Khenpo Lungten Gyatso, is Director of the Institute of Language and Cultural Studies, of the Royal University of Bhutan. Khenpo Lungten holds M.A.’s in both Sanskrit Literature, and also in Buddhist Philosophy. 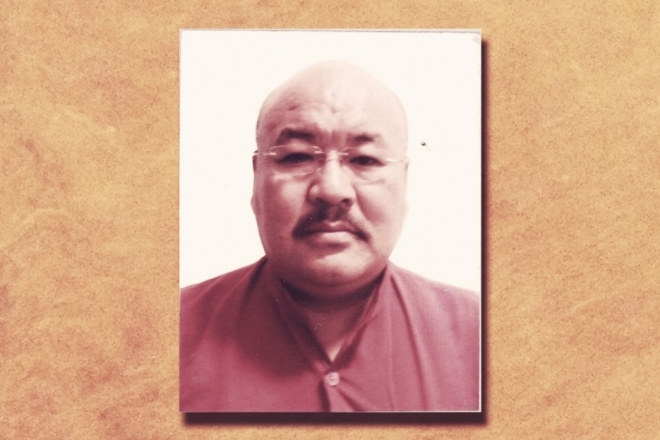 Conversant in three languages, Khenpo Lungten is highly respected and very knowledgeable about Bhutan and Buddhism. He has been a Visiting Scholar, in the Nyingma Shedra, in Kathmandu, Nepal. Presently, he is teaching Philosophy, Translation, and language, at the Royal University of Bhutan, at the Trongsa campus. UNESCO proclaimed Khenpo Lungten Gyamtsho’s work on ‘Mask Dance: Drametse Ngacham’, a “Master Piece”.